Want to be notified of new releases in pullreminders/label-when-approved-action? 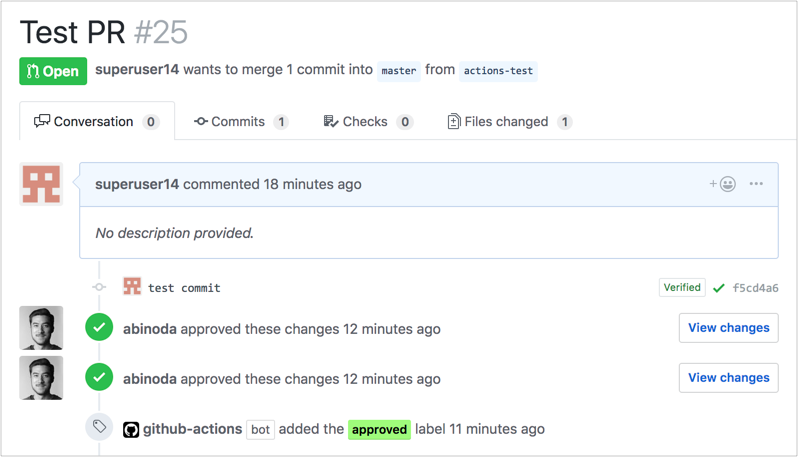 This GitHub Action applies a label of your choice to pull requests that reach a specified number of approvals. For teams using Pull Reminders, this action can be used to exclude approved pull requests from reminders. This Action subscribes to Pull request review events which fire whenever pull requests are approved. The action requires two environment variables – a label name and the number of required approvals.